Felon on probation Bernard Kerik now enjoys a lucrative living playing "Captain Obvious" for lame stream media by dressing up in his purty suit, smiling for all the sweet young producers then parroting and regurgitating news events. Of course, why does anyone think any legitimate law enforcement source would actually share confidential information with an eight-time convicted felon? But, yes, it does happen when CNN or Newsmax runs out of legitimate, sworn, law-abiding "ex-spurts". Friday, November 13, 2015, we were no more than one hour into the horrible multiple Paris terrorist attacks, when Bernie Kerik had to tweet that "he told us so...". This delusional criminal truly believes no one in the world may have had that thought before him? Multiple attacks, same day/same time... I predicted this years ago. We don't need another 9/11... @smerconish @frankmorano No surprise here. Felon on probation Bernie Kerik can only think of himself at at time when the world is watching in horror. 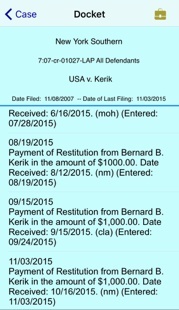 Of course, it's always all about Bernard Kerik. Felon Bernard Kerik hopes for more breaking terrorist attack news. It makes him feel alive since he threw away his law enforcement career on fucks and bucks. Terrorist attacks make Bernie Kerik need to remind us how if we just had listened to him instead of send him to prison! Terrorist attacks makes this felon seem relevant in a world he traded for his own selfish desires. Terrorism is new business for felon Bernard Kerik. Catastrophe and breaking news lines Defendant Kerik's pockets so he may party on in life as the US Deot if Probation turn a blind eye to felon Bernard Keriks shady financial dealings. Sit Down, Bernard Kerik. You are shameful, unrepentant thug, still on supervised release, who owes this great country $180,000 in criminal restitution. We don't care what you think or what you say. Perhaps instead of shaking your nasty, bony finger at us, you should get a real j-o-b, pay your restitution and show us you have a smidgen of decency left.